MDWebPro powered by Digital Solutions, Inc. will continue to focus their content releases on a primary topic throughout the month. During the month of August they will set their sights on educating their healthcare audience on the importance of WordPress Security. MDWebPro wants to help educate healthcare professionals on how to secure their websites and prevent hackers from terrorizing them from the inside out. WordPress is the largest content management system in the world with over 68 million sites worldwide and over 11 billion pages viewed every month. 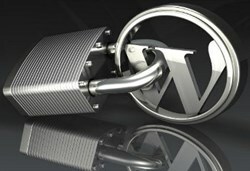 This means that sites created through WordPress are likely to be targeted by hackers. During the month of August MDWebPro will release content focused on securing WordPress sites by creating things like a case study which give a real life example of a client that was hacked and the steps that were taken in order to become a secure site. They will also release an eBook and host a helpful webinar to provide even more resources for their audience to utilize in order to prevent website breaches. Digital Solutions, Inc. out of Minneapolis hosts the MDWebpro Blog and suite of applications helping doctors across the United States and abroad to better utilize and measure inbound marketing. To learn more about MDWebPro or Digital Solutions, Inc. visit MDWebPro.com or call 800-941-0378.